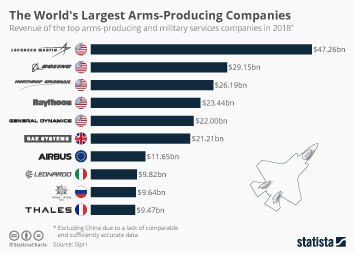 The most recent edition of the Small Arms Survey found that there's more than one billion firearms worldwide, at least 857 million (85 percent) of which are in civilian hands. 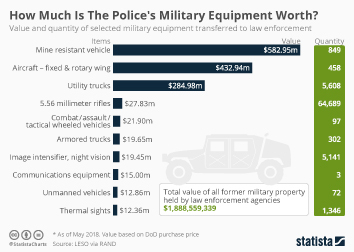 Another 133 million (13 percent) are in military possession while 23 million are owned by law enforcement agencies. 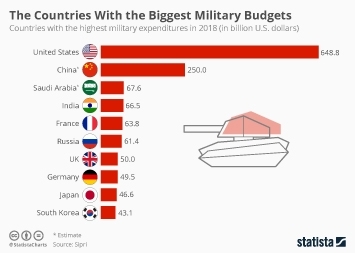 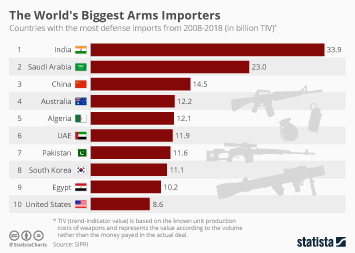 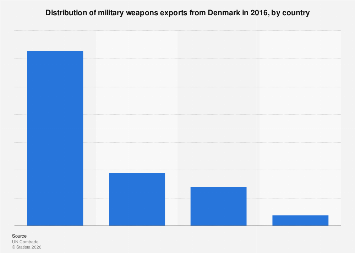 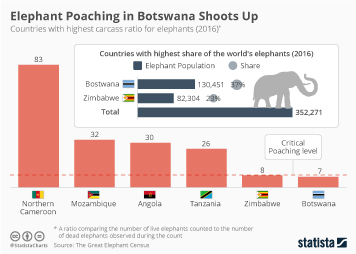 Military-owned firearms are a leading factor in conflict and violence and over 43 percent of the global total belongs to just two countries - Russia and China. 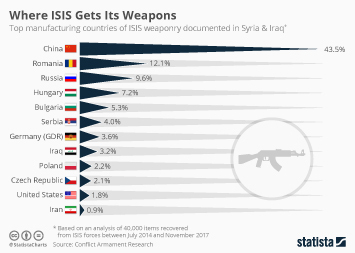 The research estimates that the Russian military has just over 30.3 million assault rifles, machine guns and handguns in its arsenal, just ahead of China's 27.5 million. 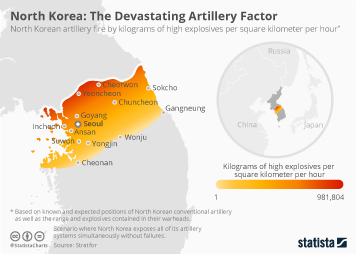 Military firearms are also highly concentrated in North Korea with an estimated 8.4 million centrally controlled by the secretive country's armed forces. 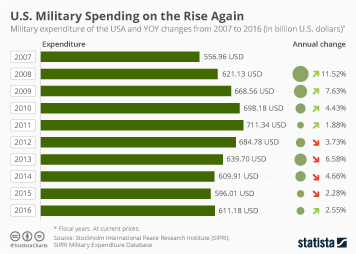 In the United States, the estimated total spread across the Army, Air Force, Navy and Marine Corps is far lower at just 4.5 million. 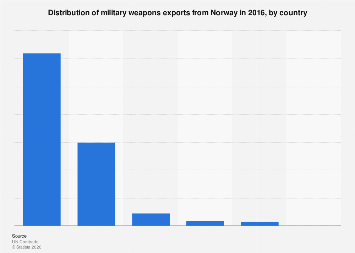 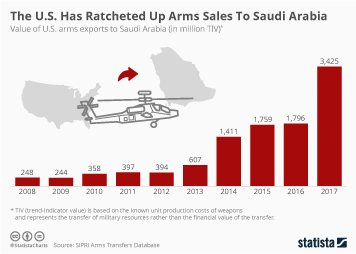 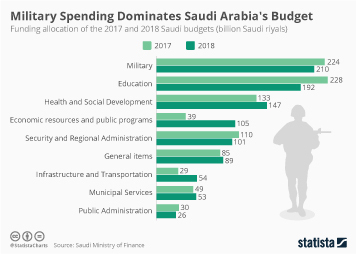 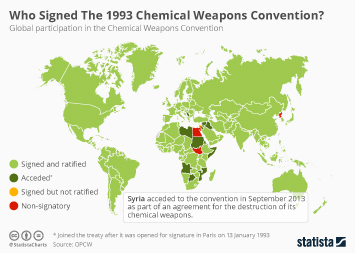 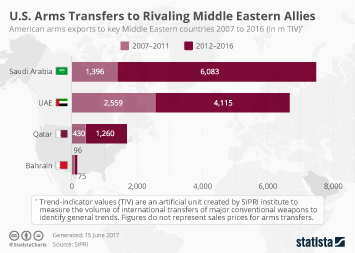 This chart shows the estimated number of military-owned firearms in 2018.
Who Signed The 1993 Chemical Weapons Convention?